Usually, I’m not in favor of using ‘opportunity calls’ to push things ahead. However, I think there are good ways and less appropriate ways of doing things. 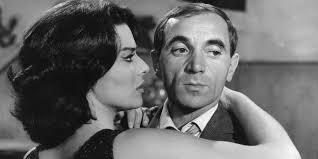 As far back as I can tell, there were always Charles Aznavour’s songs around. It’s not my place to comment about his life or his craft. Having said that, he was among the rare people who managed to get through countless obstacles and become who he wanted to be. His late age, 94, and his ceaseless activity and passion till the very last moment represent probably the most precious legacy for us all. One of my mentors used to repeat that the reason why it’s only the first person to break a record who’s remembered (and not the followers) is because it opens a field of possibilities for mankind. When a record is broken, it tels all humanity that it’s possible to reach that level and go beyond. If I recall correctly, it took centuries for a runner to sprint 100 meters in less than 10 seconds. The year after that, 27 people managed to do the same. The door was open! This is why Steven Spielberg has so much respect for a director like Clint Eastwood. Eastwood is about 15 years older than him and Spielberg said that watching Eastwood making movies at his age gives him the sense of still having a future ahead of him. Whatever our age, people like Charles Aznavour are proving us that everything is possible, even until the very last minute of our lives, as long as there’s a will. On the island of Okinawa, where the largest population of centenary people can be found, they call it ‘IKIGAI’. Ikigai means ‘The sense of a life worth living”. In other words, as long as we have dreams, and the will to see them come true, we have a long life ahead of us. So, just go look deep inside of you and retrieve all your childhood dreams, because they are the ones that’ll make you happy for much longer than you could expect! Hereunder, a beautiful son by Line Renaud, which says it all.